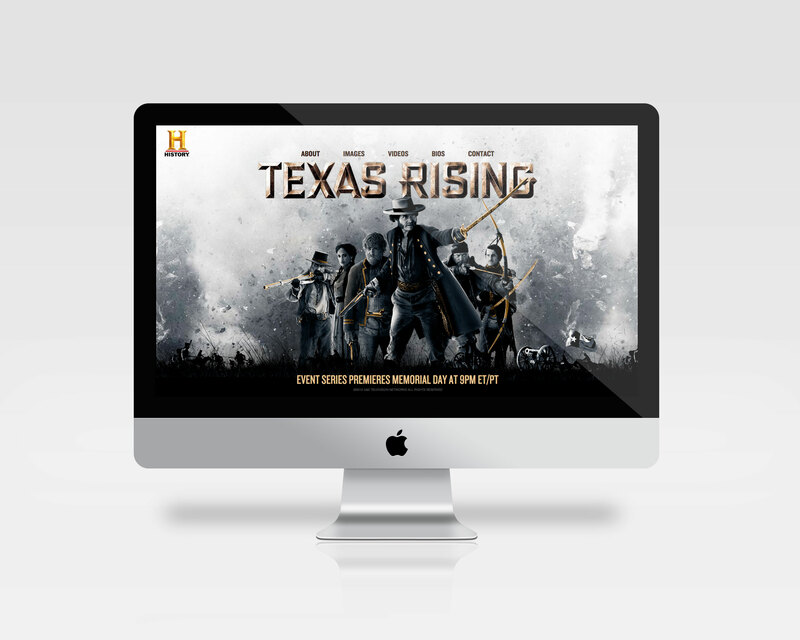 A&E Networks and The History Channel reached out to us to provide an excitable micro-site for their upcoming series, “Texas Rising,” in hopes of providing press a chance to indulge themselves in the characters and storyline. 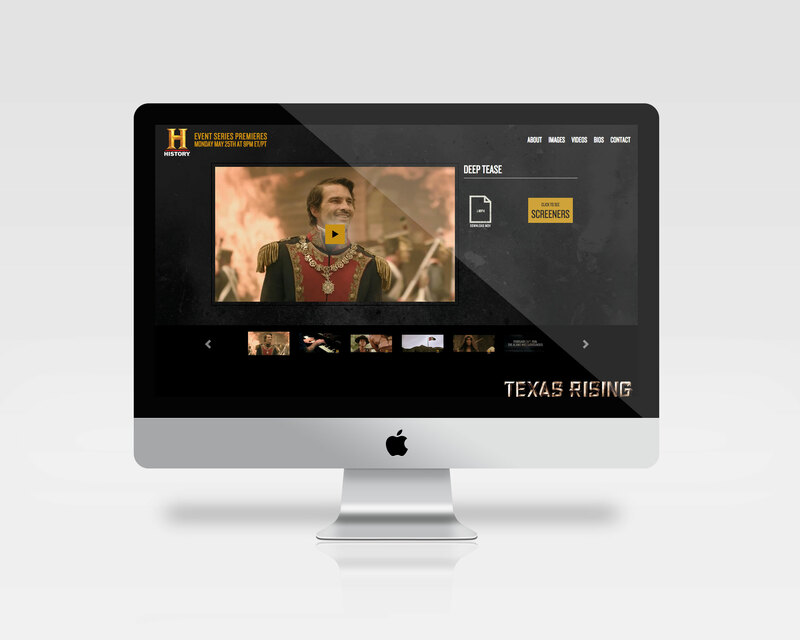 With the collaborative help of the network’s internal art team, we were able to concept, design, and develop a fully responsive website that housed all the media to be served up to onlooking press. 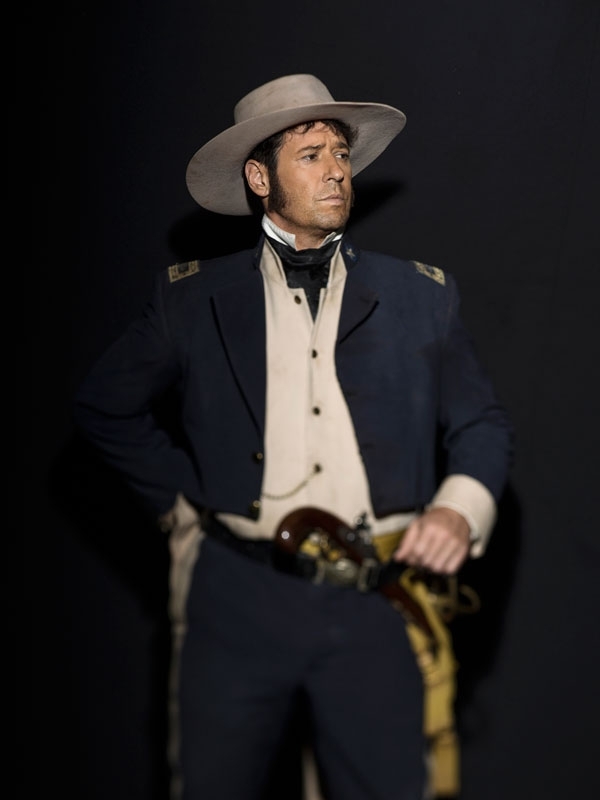 The result was an impactful gathering of animated responsive images, video clip galleries, and printed materials that represented the essence of a historic storyline.